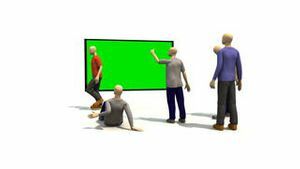 Search Results for "presenter on green screen"
Business woman presenter talking and showing product or text on a Green Screen, Chroma Key. Young smiling Worker woman presenter pushing imaginary buttons from both side on a Green Screen, Chroma Key. Presenter woman in red t-shirt holding a tablet turning pages and talking to camera on a Green Screen, Chroma Key. Female News Presenter in Broadcasting Studio With Green Screen Display for Mockup usage. Casual charming woman presenter puching imaginary button on imaginary screen on a Green Screen, Chroma Key. Smiling woman with tablet computer presenting turning pages on a Green Screen, Chroma Key. Man in trench walking and holding tablet with blue screen mockup presenting something on a Green Screen, Chroma Key. Businessman Presenting in Front of a Green Screen. Left Side. Young medical doctor woman presenting and showing product or text on a Green Screen, Chroma Key. 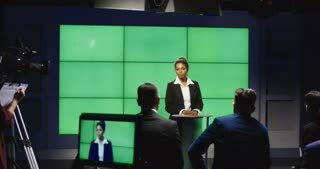 Businesswoman walking and talking to the camera explaining or presenting on a Green Screen, Chroma Key. A female newsreader presenting the news, add your own text or image screen behind her on a Green Screen, Chroma Key. Smiling man with microphone on green screen. The afro-american entertainer holding miocrophone on Alpha Channel background.